Carpal tunnel syndrome is a fairly common condition, which causes highly distinctive symptoms. It normally has a gradual onset, which starts with tingling or loss of sensation in the fingers; particularly the thumb, index and middle finger. People often experience this discomfort when driving, holding a mobile phone or reading a book; and often, the sensation will travel from the hand into the wrist and arm. As the condition worsens, weakness may occur in the hand, and symptoms are likely to become permanent. Identifying a specific cause for the condition is often difficult. The symptoms arise as a result of pressure on the median nerve, which runs from your forearm into your hand. This vital nerve provides feeling to your thumb and most of your fingers, and sends messages to the muscles around the thumb. Anything that compresses or irritates the nerve can cause carpal tunnel syndrome. Here are a few things that can increase your chances of developing the condition. There are many reasons why you might be suffering with carpal tunnel syndrome. Here are a few of the main factors that increase the likelihood of you experiencing the symptoms. More women experience the condition than men. Nerve damage. 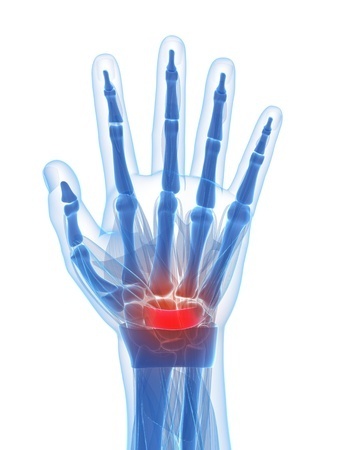 Injury to the area can increase chances of developing carpal tunnel syndrome. In addition to this, certain illnesses, such as diabetes, can increase the risk of nerve damage throughout the body, including the median nerve. It is thought that the menopause is linked with increased risk of developing the condition. Many women, when pregnant, experience fluid retention, which can increase pressure on the median nerve. Repetitive wrist action. It’s believed that repetitive wrist actions, particularly in the workplace, can cause carpal tunnel syndrome. Studies have explored the possibility between the condition and regular use of computers, though this has yet to be proved. If you’re suffering with carpel tunnel syndrome, it’s important to know that treatment is available. To find out more about your options, simply get in touch with Neurospinal Associates at (941) 794-3118.